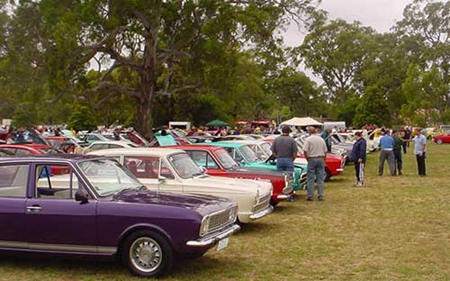 "About 30 Cortina MKI and MKIIs were in attendance at the Small Ford Day. The cars included MKI & MK11 in all forms, from original stock (driven by Mum to church only on Sunday) to fully worked powered-by-supercharged-Toyota, with every possible combination in between." 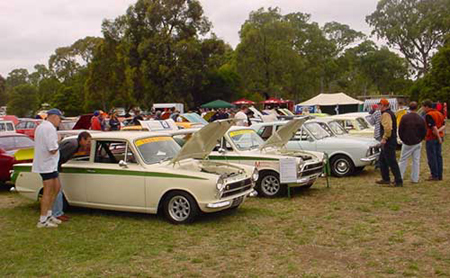 Some of the many Cortinas and small Fords at the gathering. There were 3 Lotus Cortinas that Ford and Lotus would have been proud to have gone down their production line 35 years ago." 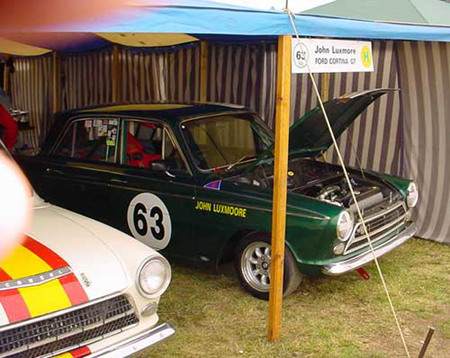 "Dark green Cortina GT, under cover. 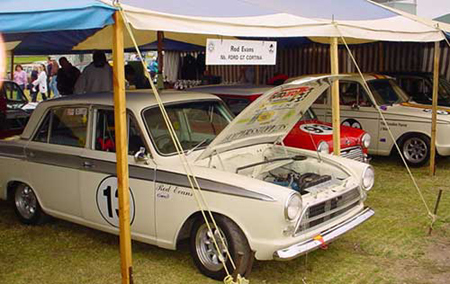 In 1966 the Cortina GT 500 wiped the floor in the Bathurst 1000k road race against cars similar to the cars transported from Western Australia, pictured below." "A few more under cover..."
"Transporter belonging to the Classic Car Club from Western Australia, that carried about 6 member cars from across the continent! This car transporter from WA would have covered the equivalent width of the USA to get to the meeting but unlike in the US there are only truck stops on the way across the NULL ARBOR PLAIN. APROX 4500 KM of open desert. 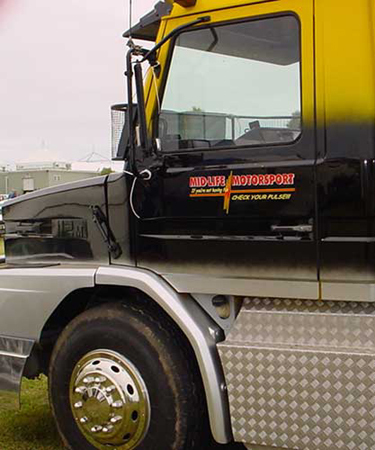 the Guys are very keen..."
"Some of the cars from Western Australia. 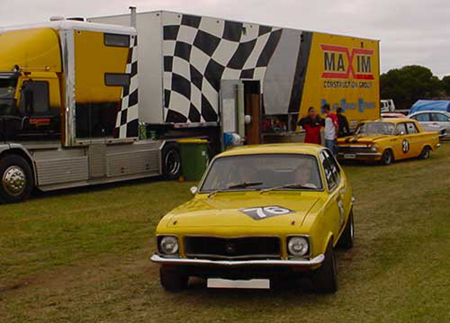 Pictured in front of the transporter is a GM Torana powered either by a 179 cubic in straight 6 or 5 litre v8, a very small and fast MV. Also shown is a GM EH Holden powered by 179 ci straight 6." 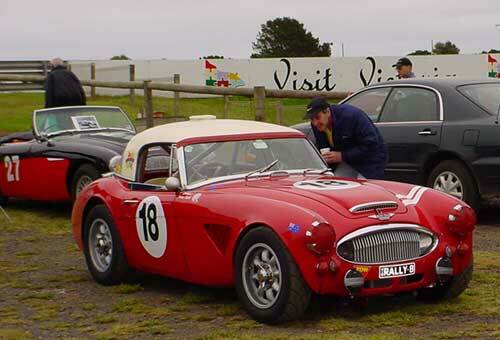 "This Austin Healey competed in the Open Sports Car division, and was soon to race in Tasmania in the Tassie Targa." 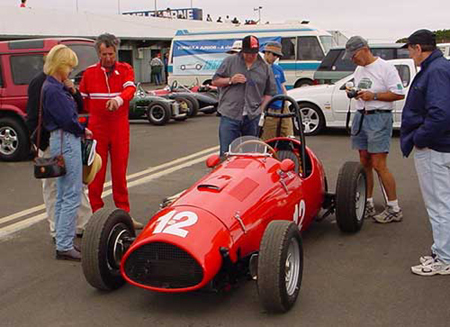 "My elder brother's MG Special, raced in Melbourne during the '60's. In those days it had no roll cage fitted and half his body protruded above the body. They were maniacs..."